What do you want to achieve with this project? In recent years, the increase of hate speech throughout Europe has contributed to electoral victories of nationalist parties and the radicalisation of far-right movements, fueling hate crimes and violence towards marginalised groups. From forcible evictions of Roma people to stigmatisation and attacks of LGBTQI+ and minority faith communities, the hate narrative gradually weakened the social cohesion between communities. Besides, it challenged democracy, equality and the rule of law across the continent. The current political framing, shaped by hate speech and far-right proponents, led national governments to make policy choices that often restrain fundamental rights of people in Europe. As illiberal democracies seem to be on the rise, we are once again moving into a period of strengthening domestic positions through demonising minority groups, undermining the conditions for transnational, open and democratic societies to thrive. To counteract those trends, European Alternatives is looking for activists and citizens from Central and Eastern Europe willing to stand against those trends and to organise for open societies. What are the details of the project? The second training, taking place at the end of May 2018 (final dates to be communicated in the course of January) in Bratislava (Slovakia), will focus on developing the community organising and campaigning skills to mobilise communities for open and democratic societies. 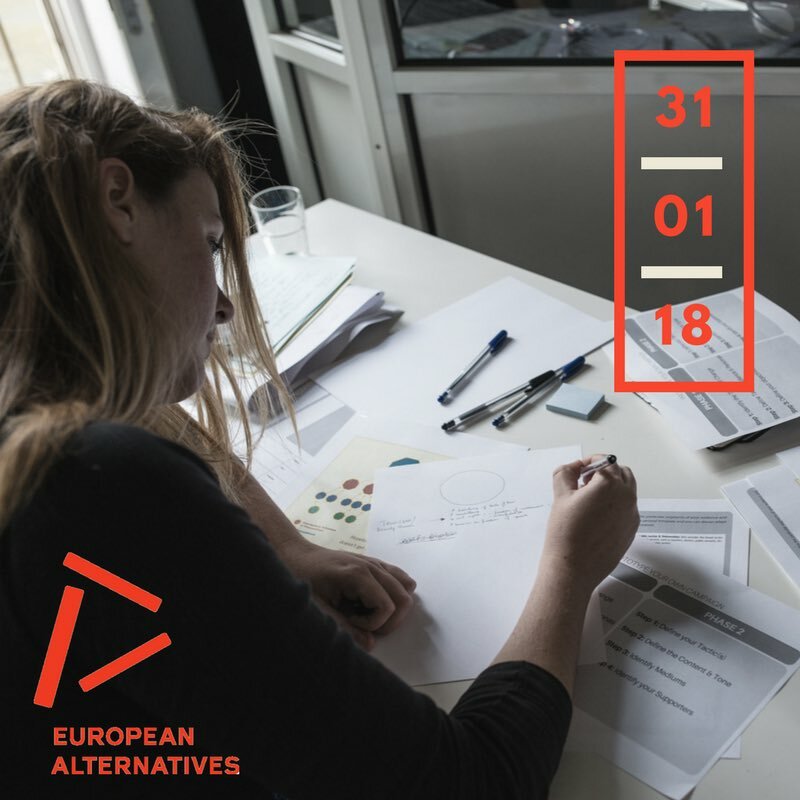 Following the trainings, you will be provided with the opportunity to join the Campus of European Alternatives, taking place on 19-22 July 2018 in Florence to present your strategies, reflect on the trainings’ learnings and develop a plan to take further actions from the local to the transnational. Citizens for Europe are civil society actors supporting each other to create a participatory and democratic Europe.